If you are a homeowner, it is prudent to invest in energy saving methods. Simply installing things such as solid wall insulation can increase the value of your home, benefiting its value when you come to sell it. Just how much you can save depends on the property itself; however npower provide some compelling figures of how much the average household can save by installing loft or cavity wall insulation. The Green Deal is a government energy saving program that helps people to make improvements to their home by lowering the upfront cost of installing insulation. These costs are then paid back with the money saved on energy bills as a resultof these improvements.This scheme is ideal for those who cannot afford to pay to insulate their home, as they will be able to reduce their energy bills in the long-run.Furthermore, the ‘debt’ is tied to the home, not the owner so you won’t have to pay it should you leave the property. 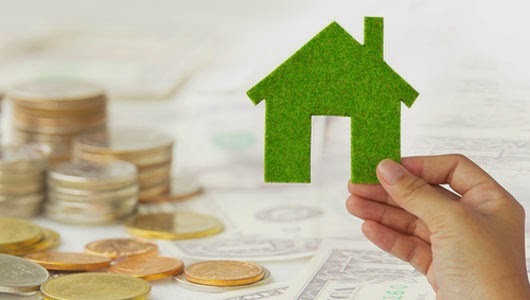 The Green Deal has seen a low uptake, despite more than 20,000 homeowners getting a free Green Deal Assessment. It seems a very low percentage have closed the deal, however the DECC expect this to improve as it is a long-term program that is only just getting off the ground. This is good news as it means there’s still plenty of opportunity to get this deal. Phil Spencer, from popular property program ‘Location, location, location’ recently wrote about the benefits of having insulation and energy efficient appliances in a home. He even suggested that adding features such as a new boiler and loft and wall insulation could increase a home’s value by as much as 38%! In Britain, there are more than 26 million homes, yet many are not well insulated. They need to be revamped so energy can stop being wasted. People need to start valuing insulated, energy efficient homes even if it causes them to have to make an investment. In the end, the home is going to be warmer and more comfortable. The Green Deal is just one of the ways that you can speed up the process of securing your energy efficient home improvements. We all have to live on this earth as well as our future generations. It is crucial to cut down on the amount of wasted energy so our planet can provide us a safe home for years to come. Insulation allows you to benefit from lower bills while you stay in your home, and puts you in a better position when you decide to sell your home.